We welcome all applications for membership, regardless of financial status. There is no religious school tuition nor is there a charge for High Holiday seating for member families. Let us tell you about our synagogue! What more can we tell you about our Congregation? My wife and I are not from New England. When we came to Leominster and then had a child, we were eager to join a local synagogue. Congregation Agudat Achim welcomed us warmly and eagerly made us a part of its community. Now, we feel like New England natives with roots in Leominster. Thanks to Agudat Achim we are home. From the beginning, I have been touched by the incredibly strong sense of loyalty and dedication our congregants show toward their shul. Their warm down to earth nature and willingness to work together to get the job done is quite refreshing. 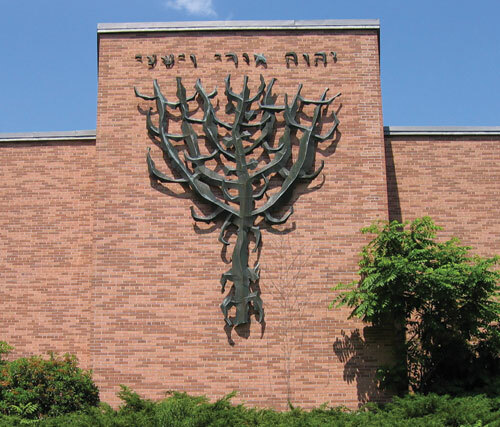 Congregation Agudat Achim is a small synagogue with a really big heart. I came as a stranger and was adopted as a friend and equal. I have never known such warmth and love as has been shared here. The Congregation Agudat Achim community is my family. Congregation Agudat Achim celebrates its children. The whole congregation takes an interest in its children and kvells at their accomplishments. Our kids grow up feeling the warmth and support of the community. Visitors often remark on how respectful our children are and I believe it’s because they, in turn, feel respected and treasured by their synagogue family. My daughters grew up in this community and I credit the poise and self confidence they showed as teenagers and demonstrate now as young adults to this caring atmosphere. Not only is this a warm, welcoming, accepting congregation, but anyone can afford to belong here. Our Hebrew school is free, our high holiday tickets are free to members, and members pledge yearly amounts within ranges that anyone can afford. Don’t let finances stand in your way of joining this congregation. We offer many wonderful programs and the services with our learned Rabbi are really enjoyable and enlightening. Come, you won’t regret it. Sign up to receive announcements and information!